Les Trois Jours is located in the exclusive residential enclave of Terres Basses on one of St. Martin's finest beaches, beautiful Baie Longue home to the world renowned La Samanna. Boasting exceptional ocean views from the columned veranda running the full length of the house and from the expansive terrace with a large free-form pool, covered dining area and fully equipped barbecue area, perfect for outdoor entertaining. The inviting indoor living space includes an elegant, finely furnished salon, dining area and a superb kitchen with six-burner cook top and central isle and appliances to satisfy the most demanding of gourmet chefs. 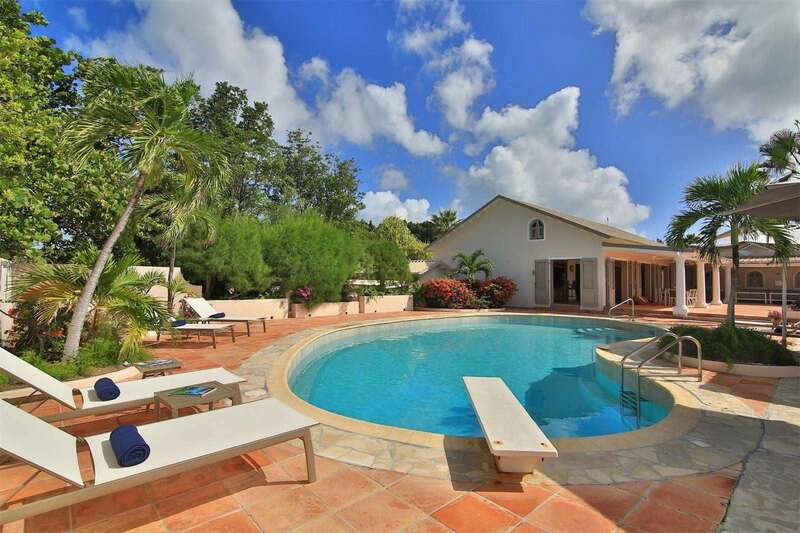 Six ample bedrooms each with en suite bath complete this impressive residence, truly unique in St. Martin. Everything about the online ad matched the property in person. The house was beautiful, views were amazing, and Megan our concierge was always super helpful. Samantha made everything go smoothly and would have an answer for every question we had. Very grateful for this staff with a tough production.